Because nothing shows how tough your SUV is like exceeding its tow rating by 310 tons. Manufacturer tow ratings—assigned by automakers to vehicles to give buyers an idea how much they can lug around behind their car, truck, or SUV—are calculated based on a wide variety of factors, such as engine power and gross vehicle weight. But they're designed as an upper limit for normal operation. Take things into a controlled environment and drive nice and slow, and many cars and trucks can haul loads many times greater than the number in the owner's manual. 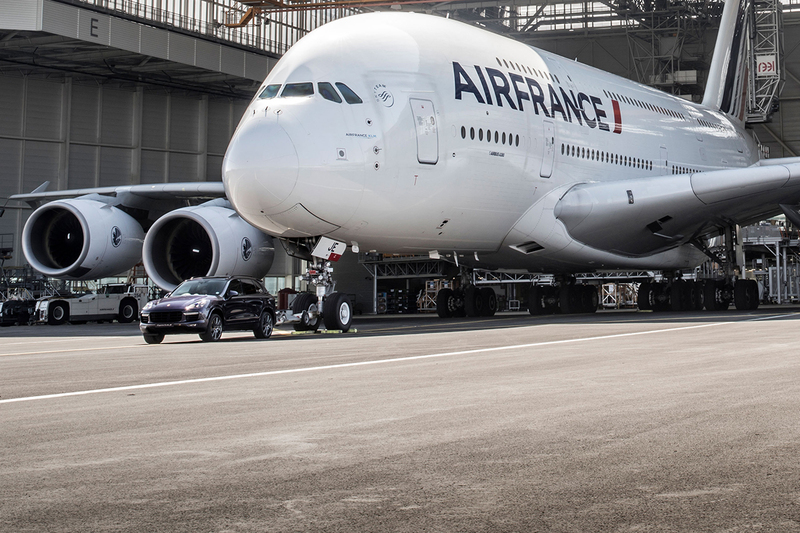 The latest example: A Porsche Cayenne S Diesel has an official tow rating of around 7,700 pounds, but that didn't stop it from hauling a 314-ton Airbus A380 jumbo jet across roughly 140 feet of tarmac at Paris's Charles de Gaulle Airport. 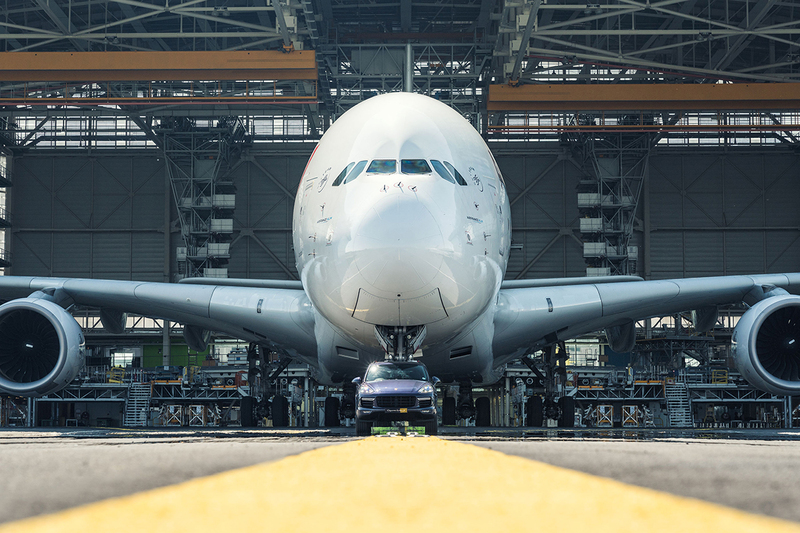 The double-decker's size means the Cayenne easily captured a Guinness World Record for the heaviest aircraft ever pulled by a production car. 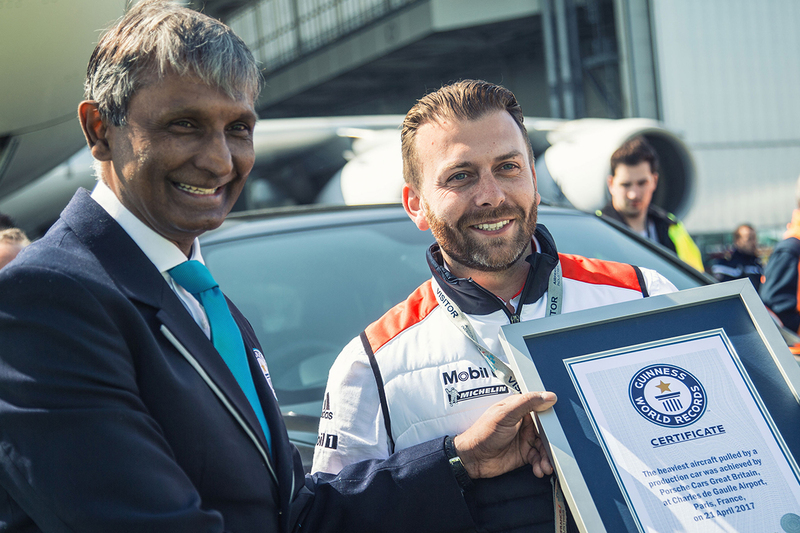 And indeed, the Porsche-towed mass reportedly blew past the old record by 127 tons. "Our cars can go a bit beyond what our customers might expect," Porsche GB technician Richard Payne said in a statement, in a textbook case of understatement. Payne added that the team had driven the Cayenne in question down from London that day for the test, and fully expected to drive it back. Oh, and if you think this exercise was as much a testament to the power of diesel as anything else...Porsche also towed the Airbus with a Cayenne Turbo S. Which, unlike the Cayenne S Diesel, you can buy right here in America. A Subaru Outback and some electronic devices were also stolen in the Sunday morning spree. Don't just take our word for it, here's every video review in one place. 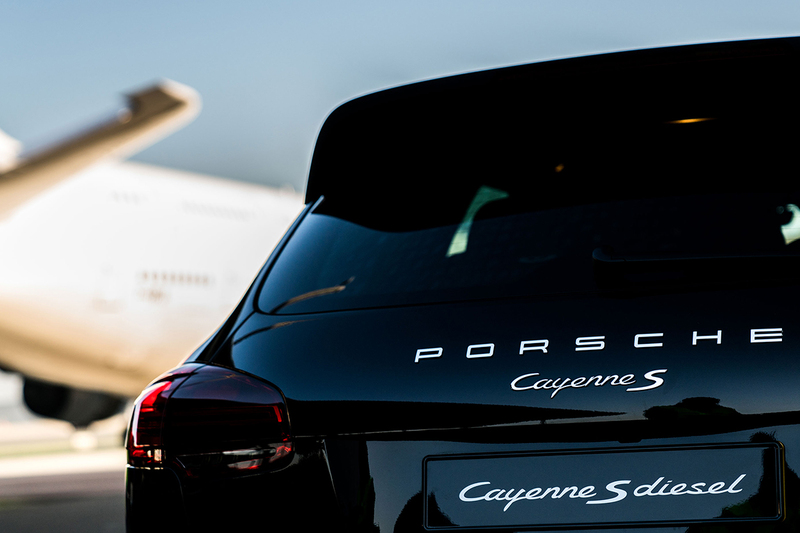 We flew to Germany to drive Porsche’s Cessna-mocking SUV the way it was meant to be driven.